Consider a lease from Robbins Chrysler Dodge Jeep Ram FIAT if you're in the market for a Jeep SUV in Manhattan, Kansas. Leasing is a fantastic option for Jeep owners who want lower monthly payments, don't put a lot of miles on their cars, and want to leave the hassle of maintenance and repair to someone else. Plus, with a lease, you can get the latest Jeep SUV without having to worry about selling or trading in your old car. If that sounds like you, give our finance department a call to learn more about the Jeep lease options we have available for Manhattan, KS drivers. At Robbins CDJRF, we have a fantastic selection of Jeep SUVs available for lease. Come on down to our Manhattan, KS Jeep dealership to check out the new Jeep Wrangler Unlimited for all of your off-road adventures. 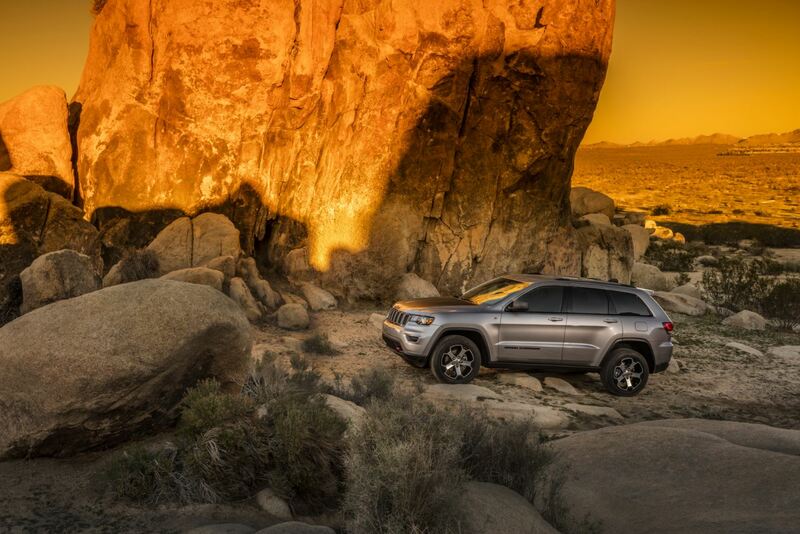 Or, get behind the wheel of a Jeep Grand Cherokee to experience the power and performance for yourself. When you lease a Jeep from Robbins CDJRF, you can consider upgraded features, models, and packages. Give our sales team a call today. We'll be happy to help you find the Jeep vehicle that is perfect for all of your needs. Financing your Jeep purchased from Robbins CDJRF is a simple. Just make an appointment with our financial services department at our Manhattan, KS Jeep dealership, and we'll talk you through your all of your options. We offer automobile loans with competitive terms and rates, fair-market vehicle trade-in values, and a whole suite of financial services, ranging from helping you estimate your monthly payments to checking your credit score. Give us a call or come in to our Jeep dealership in Manhattan, KS, and get your new Jeep vehicle on the road today!